The wait is over, the professional 3 on 3 league is here. Your favorite players are back to make a point. Following the excitement of the BIG3 Draft in Las Vegas last weekend, where all eight teams finalized their five-man rosters, the BIG3 has released the full 2017 season game matchups. The league will tip off at Barclays Center in Brooklyn, NY on June 25 with four back-to-back games featuring All-Star basketball icons and celebrated fan favorites. 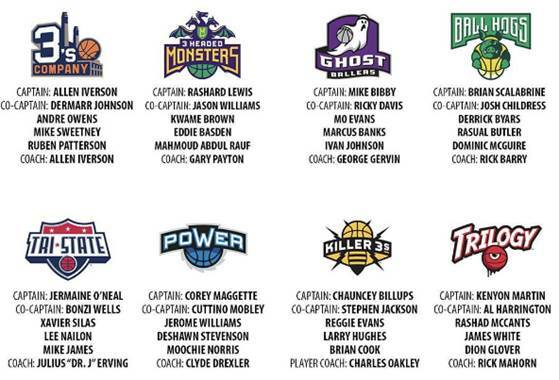 Week 1 will see Mike Bibby and Ricky Davis’ Ghostballers take on the 3 Headed Monsters led by co-captains Rashard Lewis and Jason Williams. Coaches Julius ‘Dr J.’ Erving’ Tri-State and Clyde “The Glide’ Drexler’ Power will square in a Week 1 showdown. Allen Iverson aka The Answer, and the rest of 3s Company are set to combat Brian Scalabrine and his Ball Hogs squad. BIG3 first overall draft pick Rashad McCants is ready to prove to his Captains Kenyon Martin and Al Harrington that he was the right choice, when Trilogy challenges Chauncey Billups, Charles Oakley and the rest of the Killer 3s. 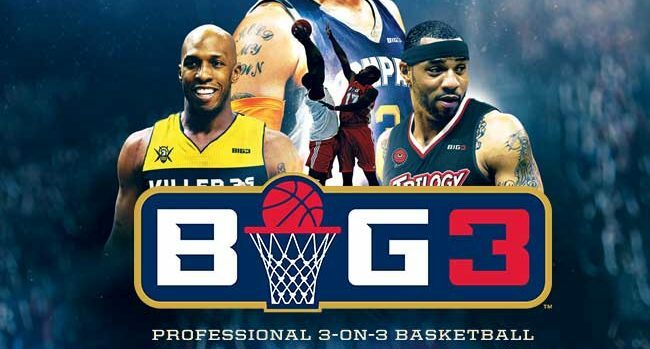 Each Sunday this summer, BIG3 will bring competitive 3-on-3 half-court basketball to a different city throughout the country, including basketball hot beds Brooklyn, Charlotte, Tulsa, Philadelphia, Nashville, Dallas, Lexington (Ky.), Los Angeles, Seattle and Las Vegas. Fans will have the opportunity to experience four high-energy match-ups and witness over 40 of the sport’s most skilled competitors battle for the title of 2017 BIG3 Champions.